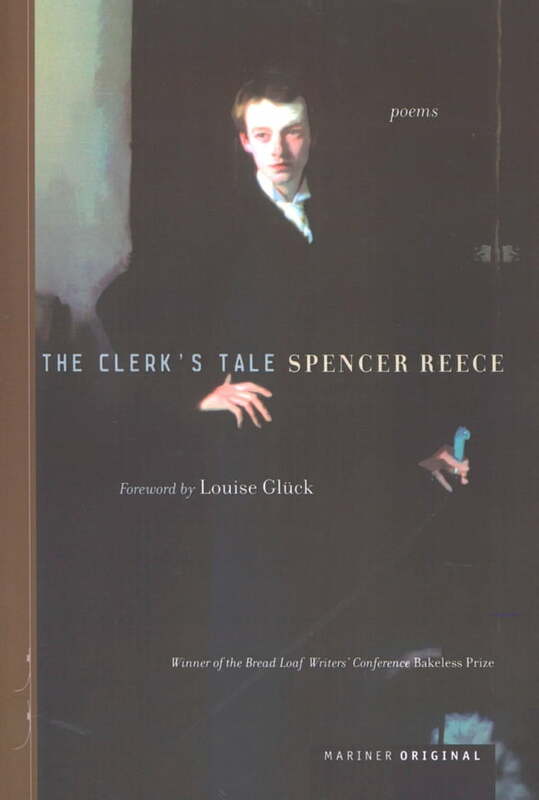 In a recent double fiction issue, The New Yorker devoted the entire back page to a single poem, "The Clerk's Tale," by Spencer Reece. The poet who drew such unusual attention has a surprising background: for many years he has worked for Brooks Brothers, a fact that lends particular nuance to the title of his collection. The Clerk's Tale pays homage not only to Chaucer but to the clerks' brotherhood of service in the mall, where "the light is bright and artificial, / yet not dissimilar to that found in a Gothic cathedral." The fifty poems in The Clerk's Tale are exquisitely restrained, shot through with a longing for permanence, from the quasi-monastic life of two salesmen at Brooks Brothers to the poignant lingering light of a Miami dusk to the weight of geography on an empty Minnesota farm. Gluck describes them as having "an effect I have never quite seen before, half cocktail party, half passion play . . . We do not expect virtuosity as the outward form of soul-making, nor do we associate generosity and humanity with such sophistication of means, such polished intelligence . . . Much life has gone into the making of this art, much patient craft."